Erik Thomson is one of Australia's most respected actors across film, television and theatre. 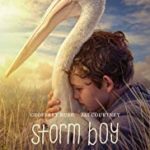 He will next be seen in Daniel J. Phillips' horror feature AWOKEN and STORM BOY alongside Geoffrey Rush and Jai Courtney. His other recent credits include the third season of the highly popular series 800 WORDS for the Seven Network, Wayne Hope's feature NOW ADD HONEY, the AACTA Award winning first series of THE CODE, and Rowan Woods' miniseries THE BROKEN SHORE adapted from the Peter Temple novel. Erik's film credits include Scott Hicks' THE BOYS ARE BACK opposite Clive Owen, Cate Shortland's SOMERSAULT with Sam Worthington, THE BLACK BALLOON opposite Toni Collette, ACCIDENTS HAPPEN with Geena Davis, BEAUTIFUL and WE'RE HERE TO HELP. For his outstanding performance in SOMERSAULT, Erik was awarded the Australian Film Institute (AFI) Award for Best Supporting Actor in 2004 and was nominated for a Film Critics Circle of Australia Award for Best Actor in a Supporting Role. In 2008, Erik was again nominated for an AFI Award for Best Supporting Actor for his performance in the multi-award winning film THE BLACK BALLOON. Erik was also nominated for Best Actor in a Feature Film for WE'RE HERE TO HELP, and Best Actor in a TV Drama for THE MILLION DOLLAR CONMAN at the 2008 NZ Film Awards. Erik was awarded the Silver Logie in 2016 for his performance as 'George Turner' in 800 WORDS and in 2003 for his performance as 'Dr Mitch Stevens' in the television drama series ALL SAINTS. He has been nominated a further eight times for the Silver Logie for Most Popular Actor Award and in 2011 he was also nominated for the Silver Logie for Most Outstanding Actor. Erik is well known for his role as the head of the Rafter family in Australia's top rating TV drama PACKED TO THE RAFTERS and his other television credits include THE ALICE, BLACKJACK: DEAD MEMORY, MDA, THROUGH MY EYES, THE MILLION DOLLAR CONMAN, WILDSIDE, 13 GANTRY ROAD, PACIFIC DRIVE, HERCULES and XENA: WARRIOR PRINCESS. Erik's theatre credits include the sold out season of THE SPEECHMAKER for the Melbourne Theatre Company; THE SPLINTER for the Sydney Theatre Company; JULIUS CAESAR, TWELVE ANGRY MEN, ALL MY SONS and ANGELS IN AMERICA for the Auckland Theatre Company; and SCHOOL FOR SCANDAL, HAMLET and GYPSY for the Court Theatre Christchurch.